Day 21. 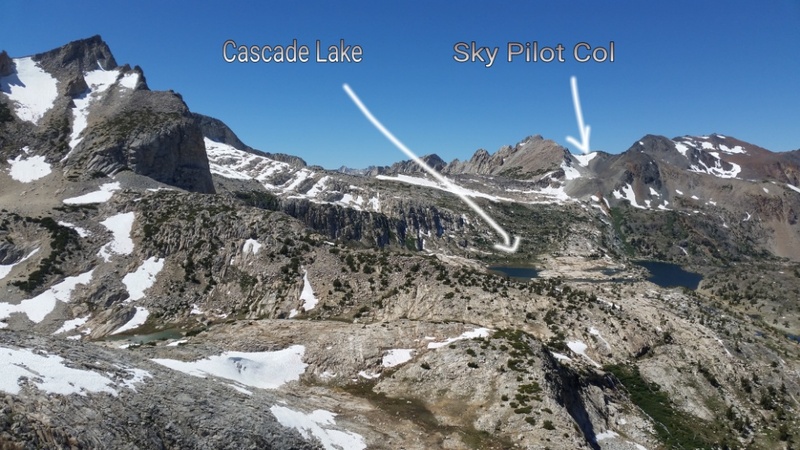 Up and up to Cascade Lake. July 11, 2016. 6am to 5pm. 12.5 miles. 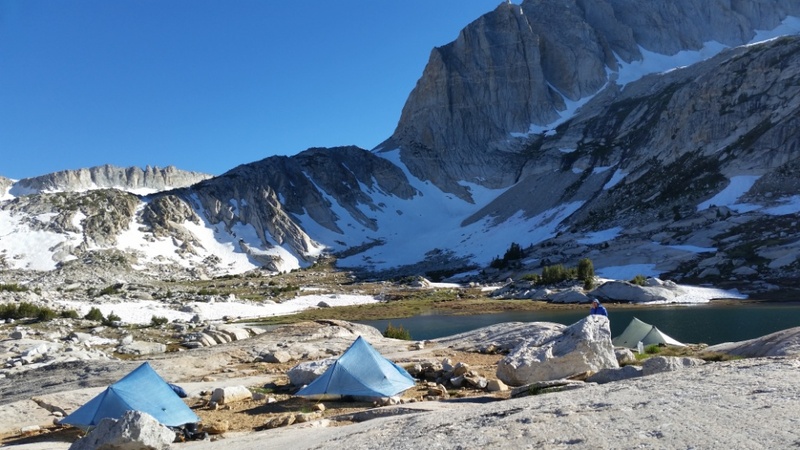 Tuolumne Meadows Lodge to Cascade Lake. Roper describes what we did today as “a horrendously long day.” It was long with LOTS of uphill but it was far from horrendous. I know the nero yesterday helped. 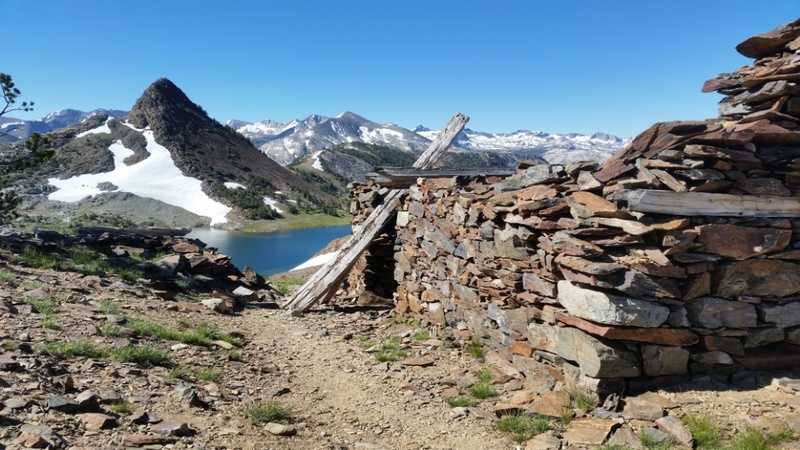 Remnants of the Great Sierra Mine and Gaynor Lakes. 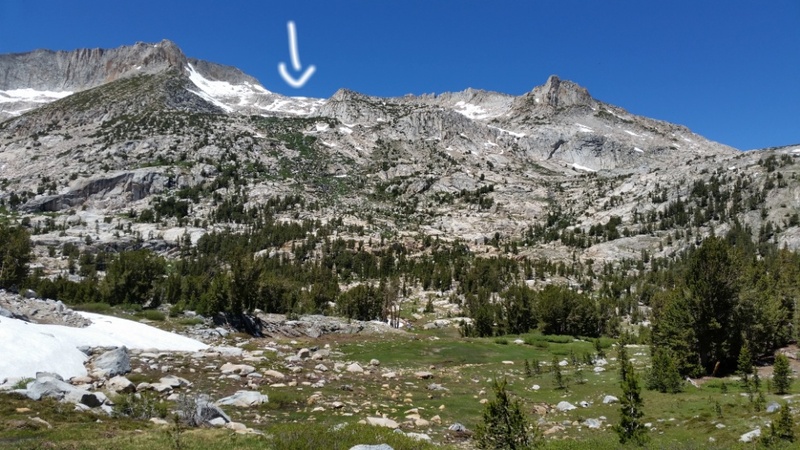 The "saddle" between Spuller and Maul Lakes. It sure felt like a pass. 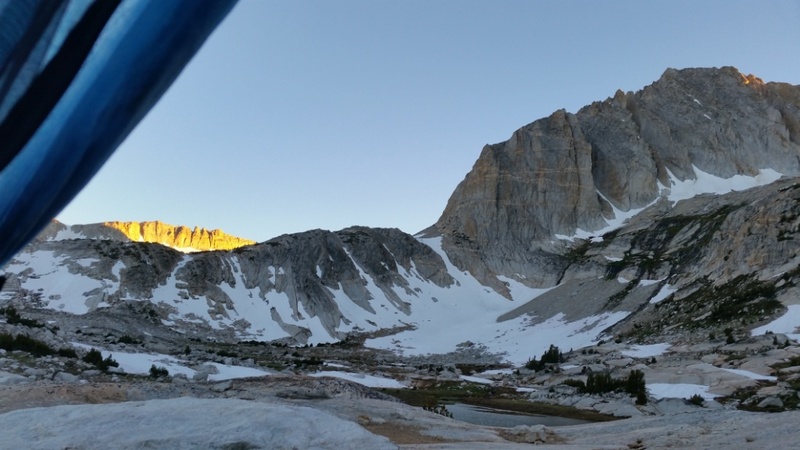 We camped at Cascade Lake. Sky Pilot Col is tomorrow. We have another wonderful campsite and it feels awesome to be horizontal and off my feet. 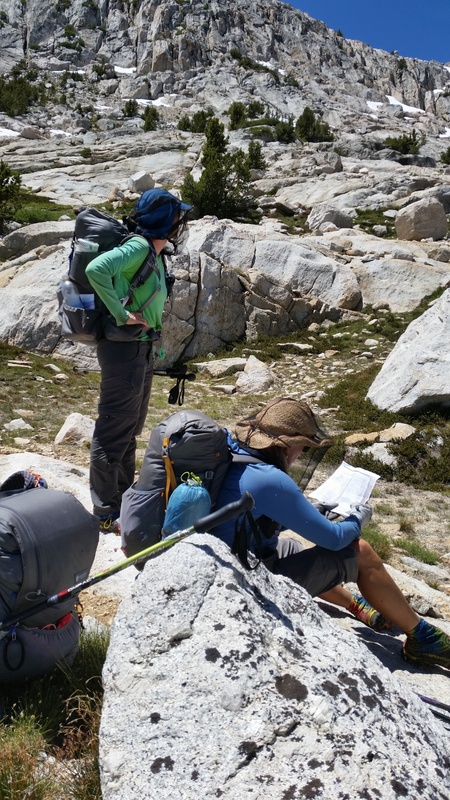 This entry was posted in SIERRA HIGH ROUTE 2016 on July 15, 2016 by nancyhikes. 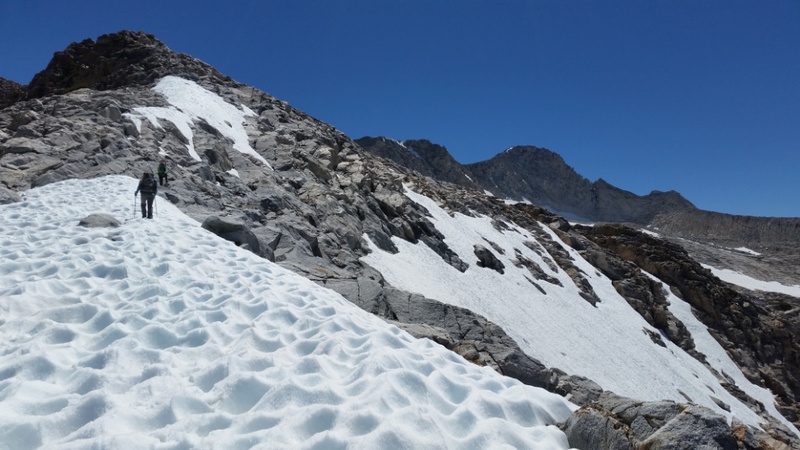 I wonder which switchback you are on now as you make your way up and up from Whitney Portal! Wanted to tell you how much I’ve enjoyed your SHR adventure. Your photos are stunning. With all that is going on in our world it gives me peace and comfort knowing such beauty exists. So much better than politics and mass shootings. Why Not. Your trip was amazing to behold (from afar). It has been so much fun to follow along on your posts. 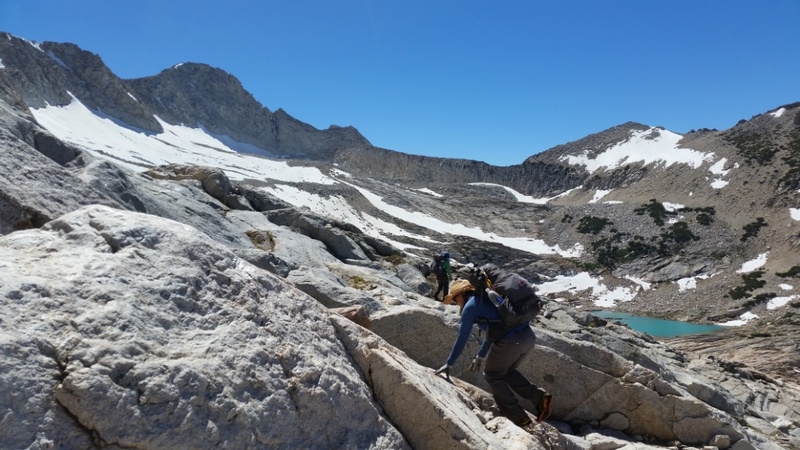 Truly inspiring to see women in the wild doing great big adventures and having a blast. I want to be just like the three of you when I grow up. What a compliment coming from you. Thanks for the treats for the Winds. I hope to see you at ALDHA WEST this year. I see mosquito nets in one photo. Hopefully you didn’t have to wear them long. We got very lucky with the mosquitos. Hopefully our luck will extend to the Winds.